Leading Manufacturer of de-mineralization plants, pressure sand filter, water softening plants and hard water electrostatic scale control systems from Greater Noida. De mineralization plants are based on ion exchange technology to remove minerals from brackish water. The plant comprises of a stainless steel tank and a conductivity meter that continuously indicates the conductivity of the deionized water. Simple structure and modular design of de-mineralization plants make it easy to install. 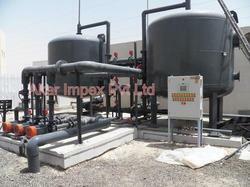 Our de-mineralization plants for use at facilities where the water contains high TDS (Total Dissolved Solid). Our range of sand filters are versatile additions to industrial purification system, aquaculture, etc. These filters work by forcing water at pressure through a bed of carefully graded media that collects dirt and solids. 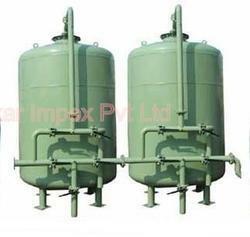 We specialize manufacturing customized pressure sand filters in different capacities as per the client's requirement. We offer highly efficient water softening plants designed to remove scale forming salts and ions such as calcium and magnesium. The softening plants are based on ion exchange process that uses resins as media. 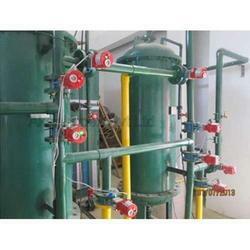 Softeners can be automatic semi automatic or largely manual as per the requirement of the clients. They are compact in size, easy to assemble, install and maintain. 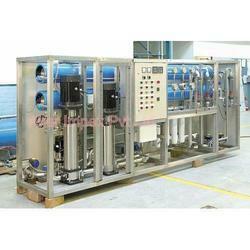 The unit is provided with under bed material to avoid the carryover of dirt from brine solution. We specialize in designing and developing innovative Electrostatic Scale control equipment for conditioning of hard water. These advanced systems are based on a sound technology basis. Although, the technology is not new but has been carefully developed by Akar over the years. We have successfully developed very economical hard water scale control device which prevents formation of hard water scale on metal surfaces in air conditioning and boilers. The major advantage of using this technology is that quality of the water is not altered or affected.